MACON, Ill. – A swarm of Beach House Mini-Sprints are expected to invade Macon Speedway Saturday night during Heinkel’s Three Dog Night, when the 600cc open-wheel screamers will fly around the fifth-mile high-banked oval in near record time. When they ran here in late May, 20 mini-sprints decended on the legendary oval for an amazing battle that included several stars from the POWRi tour. After POWRi hotshoe Aaron Andruskevitch fell from the lead after losing power, Tyler Day of Atwood swept into the lead to score the win. Brad McDaniel of Carbondale finished second, and Paul Day of Atwood was third. 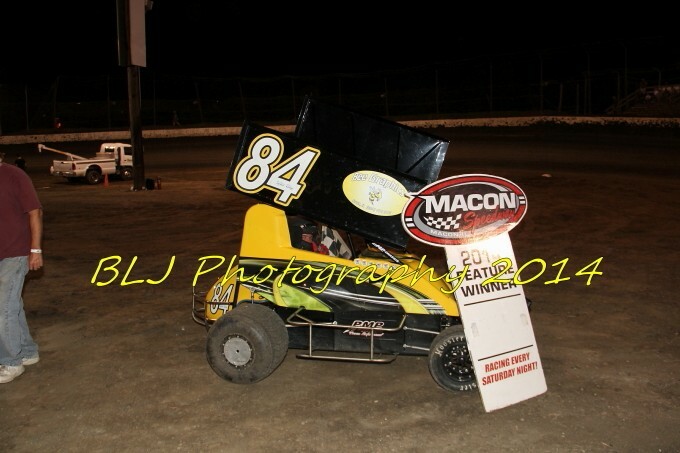 Beach House Mini-Sprint drivers enjoy coming to famed Macon Speedway because of the track layout that lends itself for great racing in the midget-style cars, and they also like the track preparation and the smooth, high-banked corners. With POWRi Series idle this weekend, Macon Speedway is a likely destination for some of the talented drivers and fast cares from the premier micro series. The racing program also features a Midwest Big Ten Series street stocks race in a $500 to win feature. The Midwest Big Ten Series is a 10-race schedule spreads over four tracks, including five races at Macon Speedway plus an appearance at the Christian County Fair in Taylorville on July 24 during the Triple 25’s sponsored by Larry’s Service Center. Billingsley Towing modifieds, sportsman, outlaw hornets, stock hornets and the Illinois Lightning Sprint Series will also race. Grandstands open at 5 p.m. with racing at 7. Five ladies from Woody’s will race with the top two finishers advancing to the Bud Light Championship race on Sept. 13. Heinkel’s Three Dog Night has food and fun with $1 hot dogs, a hot dog eating contest and free merchandise, including variety meat packs from Heinkel’s. Women also receive half-price admission as the gals from Woody’s compete during the second Bud Light Ladies Night race of the season while Midwest Big Ten Series Street Stocks race for $500 to win.